The Swedish Defense is conducting samples of synthetic ozone to improve the thin ozone layer in northern Sweden. A Swedish military transport aircraft changes its name and flies into Swedish airspace while at the same time the chief staff from the defense prevent an intervention from a control room on the ground. The ozone is spread out and a research team is carrying out balloon samples within the zone. Something went wrong. The synthetic ozone has destroyed the existing ozone layer. The father of a Russian family, who lives in the zone, is exposed to the sun's ultraviolet radiation. He is seeking help from Doctor Lagerlöf. The man dies when Lagerlöf takes him to Kiruna Hospital. 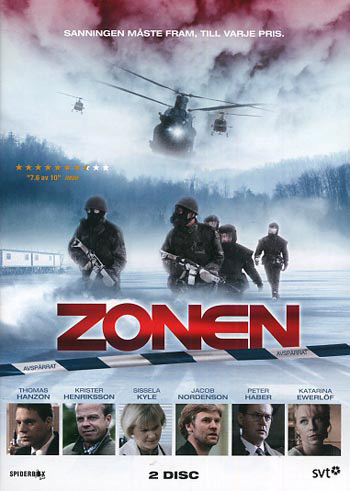 Doctor Jacob Lagerlöf feels suspicious and stumbling upon a secret that is so well preserved that he now gets both military and government after him. By his side, he has Pecka Kregert, a journalist at Norrland's hand, a newspaper in which Pecka makes secret-stamped material produced - with the consequence that the military imposes a ban on his prohibition. Doctor Lagerlöf has a brother, Peter, who lives in Stockholm and works at the Department of Defense. After Jacob's imprint, Peter allows himself to steal defense secrets from Henrik Levin, Defense Secretary at the Department of Defense. The documents will later be used during a televised debate in advance of the forthcoming parliamentary elections. A cat and rat play is taking off with lies, prints, secrets, fires and murder.